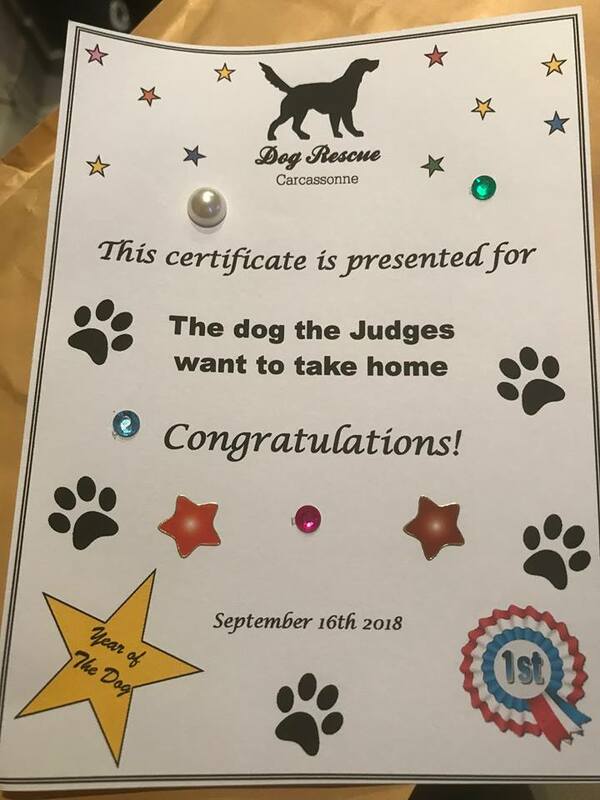 Plans for the DRC dog show on September 16th in Caunes Minervois are coming along nicely. Many thanks to everyone who has already registered. It is not too late, and of course you can just turn up on the day. But this way we will have some idea of how many people to expect. This will of course help the caterers, (ie Gill and the rest of the team from Languedoc Solidarity with Refugees), who are also busy getting ready. If you have registered, apologies if we haven’t responded to confirm your participation; but if you have filled in this form, you will be on the list! Marketa, our ace photographer will have just returned from attending an exhibition in Barcelona, where she has some pictures on display. Those of you who follow her on Facebook or on the National Geographic Your Shot site will have seen some of her amazing photos. 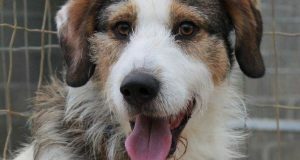 This is too good an opportunity to miss; a picture of your hound by such a talented photographer. 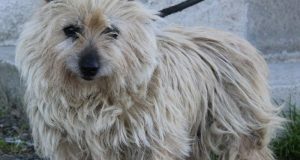 This is a fundraising event, so she will be charging €10 for 2 jpg files, and as Marketa is kindly donating her time, all of this money will go to Dog Rescue Carcassonne, and ultimately of course to help the animals at the SPA Carcassonne. 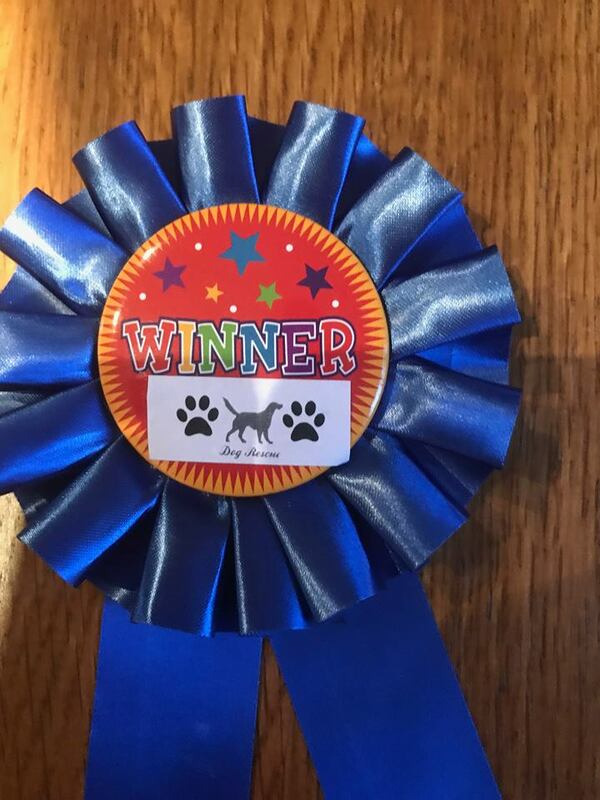 A winner’s rosette…Could this be yours (or rather, your dog’s)? The categories are as follows. You can enter up to five different events for €10, and it would be helpful if you could have already made up your minds beforehand that will speed things up on the day. There will probably be a couple of surprise categories, too. Plus of course the mini agility course, which will be lots of fun, for sure. Get your running shoes on! 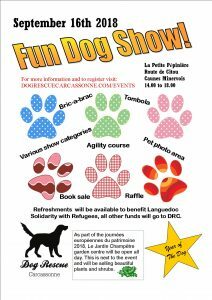 Everyone is welcome to come along; anglophone, francophone or neither of the above; there will be plenty of people who speak canine! 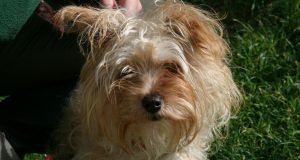 And of course you are more than welcome to come along even if you don’t have a dog. 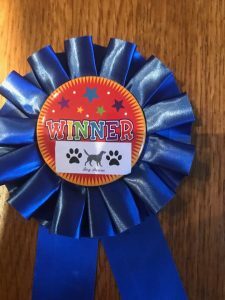 There will be plenty to keep you busy; a book stall, bric-a-brac, and a raffle, as well as watching the pooches go through their paces. And don’t forget that Le Jardin Châmpetre will be open, as it is a garden heritage day throughout France. This is just next door to La Petite Pépinière and you can visit the beautiful gardens and buy plants and shrubs to take home. 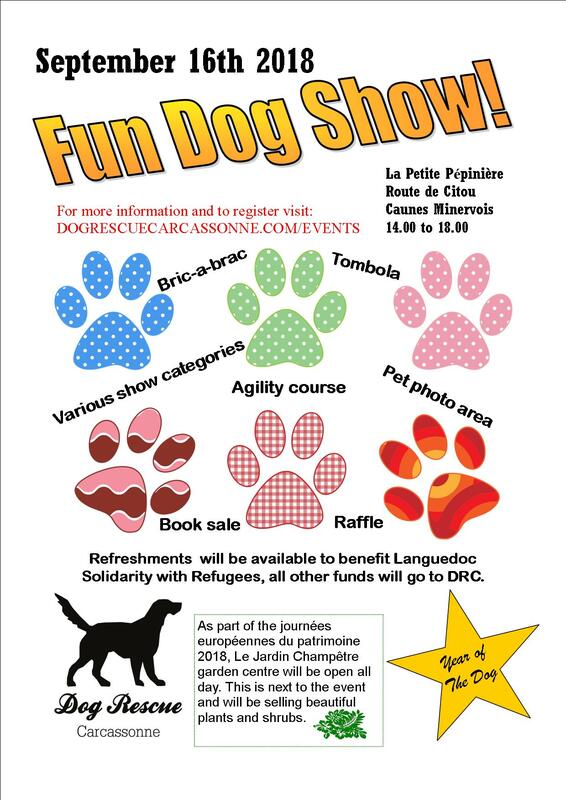 Jessica from Le Refuge des Grandes Oreilles will be there and you can find out from her stand what wonderful work she and her association do for our equine friends in the region and beyond. Gates open at 14H00 and registration will begin immediately, although the first event will not be until 15H00. Until then you can browse the stalls, and eat cake. What could be nicer? Here is a map to take you to La Petite Pépinière. 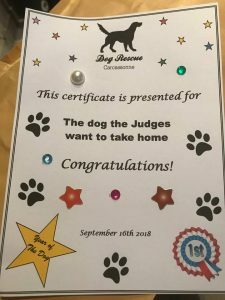 If the afternoon is anything like last year’s event, it will be talked about for weeks to come, as well as raising money for some very worthy causes. We hope to see as many of you there as possible!